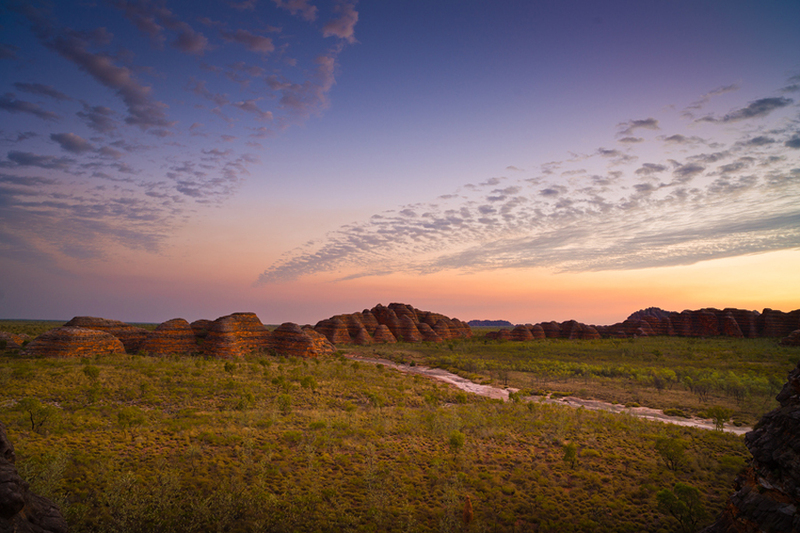 Bungle Bungle at Dusk | Western Australia - This was my first sunset at the Bungle Bungle, I had nothing but clear blue sky all day then just before sunset I saw one lone cloud on the horizon. Not too long after seeing that first cloud the clouds you see in this photo came through and lit the place up, this image was just after the colour had mostly gone but I really liked the afterglow on the beehive domes. Canvas prices include the image printed on Fine art photographic canvas supplied in a tube ready for framing, Fine art photographic prints are supplied in a tube ready for framing. All prices include freight to anywhere in the world. Fully framed artworks are available please email or contact one of our galleries for pricing.